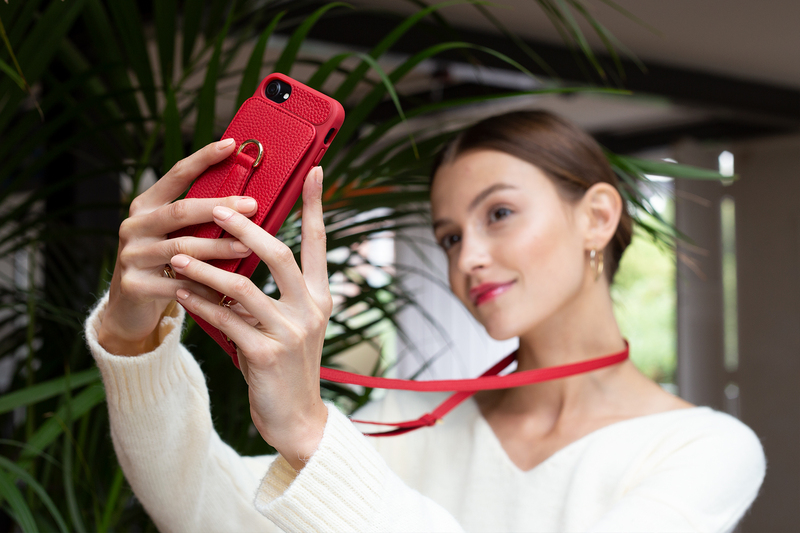 Calling anyone who loves fashion, travel and their phone - British leather accessories brand launches luxury crossbody iPhone case and wallet in one. Functional, protective and stylish. Our aim was to create a stylish and functional solution for busy women... The result is a beautiful accessory that goes with everything. British premium leather wallet and iPhone accessories brand Vaultskin has launched its first women’s fashion accessory. 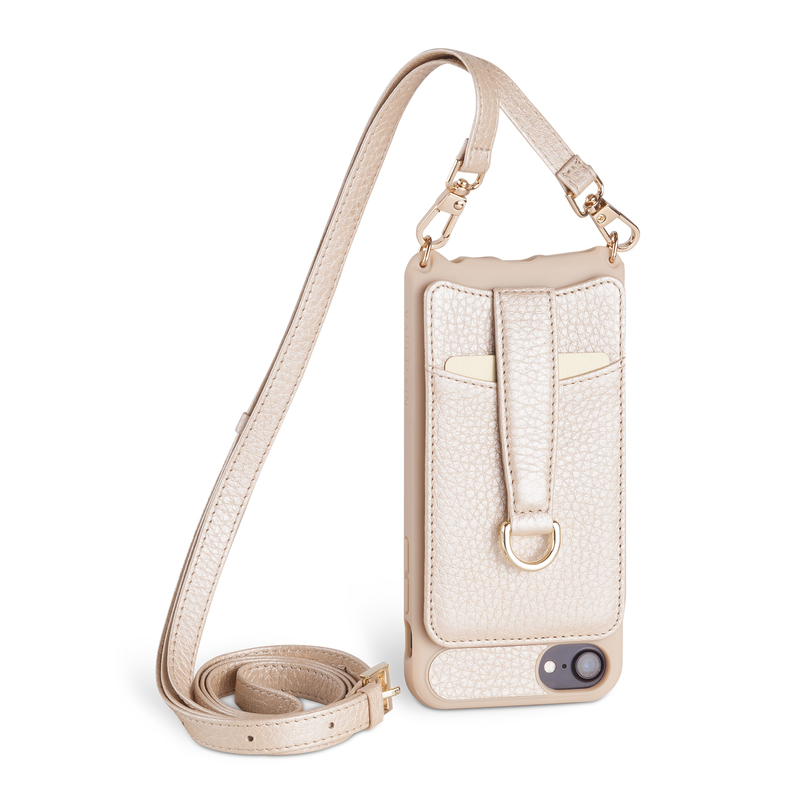 The VICTORIA, a crossbody iPhone case for iPhone 6, 6(S), 7, 8 and X features space for cards, cash and small items, and will appeal to discerning fashionistas who want to stay in touch, take pictures and pay effortlessly and stylishly. The perfect combination of luxury, convenience and comfort, the VICTORIA is crafted from top-grain Italian leather and superior quality metal finishes. Worn across the body and over the shoulder with an adjustable strap or held in the hand, your phone is always within a hand’s reach, whether you’re shopping, walking the dog, travelling to a dream destination or dancing at a festival. Made from top-grain Italian leather, with high-quality metal finishes and precise hand-stitching, the VICTORIA holds iPhone 6, 6(S), 7, 8 and X (launching in August 2018). Sleek, secure pockets let you store up to eight cards and small items such as cash, a few keys and a memory card. Available in Midnight Black, Spanish Violet, Winsor Red, Heartwood Brown and Champagne, it retails at £119, €135 and $149. For more information please visit http://www.vaultskin.com/victoria. To see the VICTORIA in action please see https://youtu.be/1qC-B50A7Mk and https://youtu.be/AnrXBL58Lg4. Vaultskin® specializes in the design and manufacture of premium, minimalist wallets and iPhone accessories. Founded in 2012 and headquartered in London, the brand prides itself on innovation, functionality and design. With extensive knowledge and experience in product, industrial and accessories design, as well as leather craft, Vaultskin’s multi-disciplined team produce a range renowned for its sleek lines, lightweight qualities and competitive pricing. Vaultskin® also conceptualized the VAULTCARD™ (launched in 2016), the most effective personal RFID (radio-frequency identification) protection device which helps protect against identity and banking information theft. This technology is also a feature of most of its products. The premium leather holds your iPhone securely while allowing you to keep a firm grip on your device. Protect the integrity of your phone: phone case covers all four corners of your iPhone while the molded rubber and strong plastic backing help absorb impact from minor falls. A durable internal shell with smart rubber padding and high-quality plastic backing for rigidity help absorb impact from moderate falls. A raised lip protects the touchscreen against scratches. All function phone buttons are covered to protect them and keep them in a good condition. A secure, high-quality adjustable and detachable leather or leather/ metal combination strap. Soft, velvety microfibre inside the case prevents scratching the back of your phone in the case.